Read about your options for elderly care and how to make sure that you make the right care choice when choosing elderly care for yourself or a loved one. What Type Of Care Will be Needed? The level of care that is required should be determined early on so you know what your choices are. Skilled care is heavily based on medical needs whereas companion care is more about help with everyday tasks. Some people require both types of care. You can find out more about how to get a care needs assessment here. Which Types Of Care Are Available? 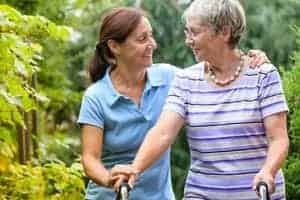 There are lots of different types of care available but they mostly fall into four categories: visiting carers, live-in carers, residential care homes and nursing homes. 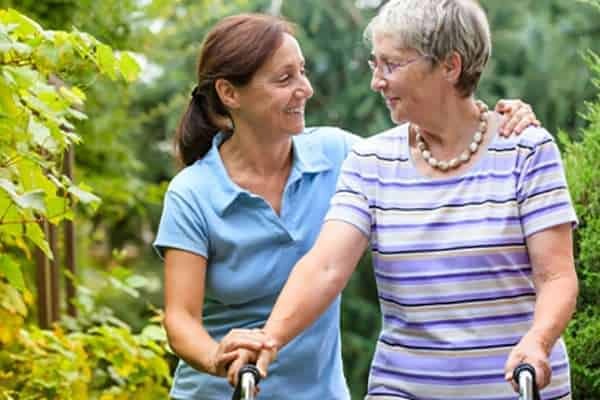 Visiting carers will pop in at an agreed time to provide help with day to day tasks, assist with medication and provide any other agreed services. 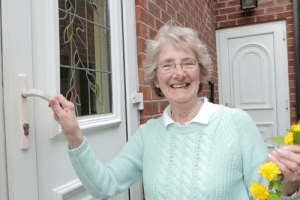 Live-in carers actually live in your home with you and offer more companionship and can provide help with everyday tasks as well as assistance with cleaning, taking you to appointments and cooking for you. Residential homes are places you go to live where you have your own private room. Staff will help you with basic personal tasks and food will be provided at set times. Nursing homes are like residential homes but with much more medical assistance and care. Paying for care is unique to each person and depends on where you live, the money you have saved, the care you want and how long you need it for. You can get an idea of live-in care costs and the cost of care homes by downloading our Care Funding Guidance booklet here. Which Type Of Care Do You Want? This is the hardest question to answer, but it will be easier to answer once you know the right care choice for you and the types of care available to you. Think carefully about the kind of life you want. Do you want to stay at home? Do you want to keep going to hobbies and clubs? Does the cost of care homes or live-in care suit your budget more? Would you prefer to be cared for in a residential environment with lots of other people in your age group? What does your partner want? What does your family want? Think carefully about what you need and what you want so you can plan to have the later life you deserve. It isn’t easy to think about the right care choice for the care you will need in later life, but it is important to plan ahead so you can plan paying for care and so you can have the peace of mind to enjoy your life now, and look forward to the future too. It is important to choose the right option of care and to think ahead. Live-in care is one of the best options for companionship, freedom and independence. As you say Cerian it is essential the think ahead when it comes to elderly care, otherwise there is the chance that people make the wrong decision in a rush or in a crisis situation. The type of elderly care will affect quality of life, health and wellbeing so it should be well-planned just like other phases of our lives but so many people avoid thinking about it until it’s absolutely necessary.